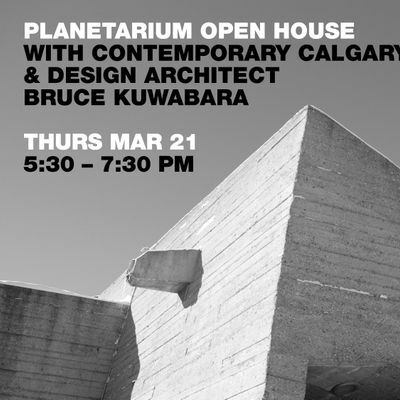 On Thursday, March 21, join Contemporary Calgary and Design Architect, Bruce Kuwabara, inside the Centennial Planetarium to learn more about the transformation of this iconic Calgary landmark into a world-class destination for modern and contemporary art. 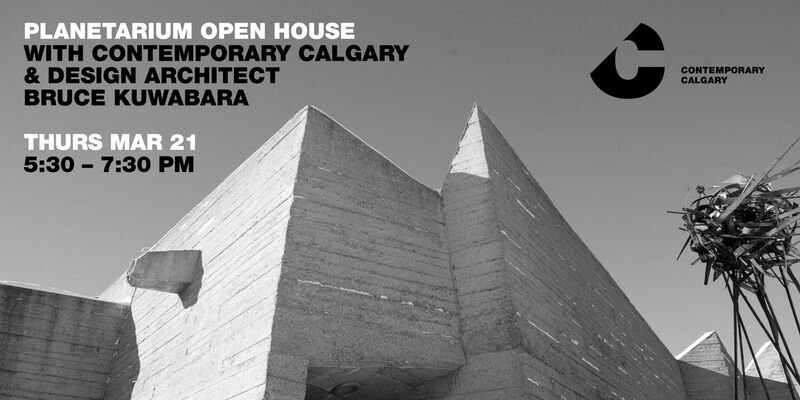 Upon arrival, you will be directed inside the dome for a short presentation by Contemporary Calgary and the Architect, and later invited to share your thoughts with us in a live exhibition and interactive survey. Salon Catering will provide refreshments and snacks. Participants are asked to sign up for one of three presentation times at 5:45, 6:15 or 6:45 p.m. Reserve your seat as seating is limited. Parking is available on site (CPA Lot 61) however access to the building is from 11 Street only, immediately across the street from the Downtown-West Kirby C-Train Station. Bruce’s belief in the power of architecture to implement social and civic change and to maximize cultural potential has earned him impressive recognition, including an Officer of the Order of Canada, the Royal Architectural Institute of Canada Gold Medal and the Ontario Association of Architects Lifetime Achievement Award. Exemplary projects include the recent success of the Remai Modern in Saskatoon, the Ottawa Art Galley, the Canadian Museum of Nature in Ottawa and the Gardiner Museum & Bell Tiff Lightbox, Toronto.